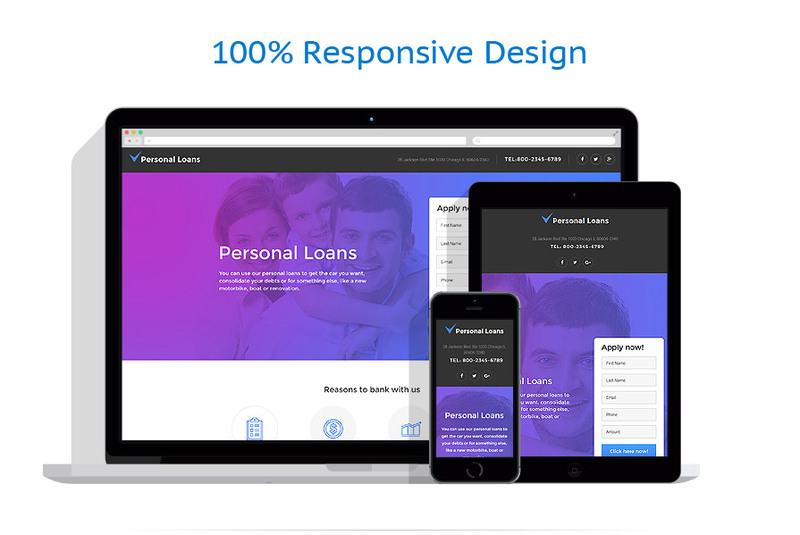 This responsive template for business website landing pages offers a fully responsive design with a clean and crisp look. With the page builder, you can easily incorporate various elements to your landing page, including galleries, forms, testimonials, benefits and features, and a call to action. This simple and modern landing page template will be a great help in promoting your services. Your site visitors will love clean and crispy design of this theme. Create your perfect landing page using the integrated drag and drop builder, multiple navigation types and dozens of features and elements included into the template package. This template is recommended for business, finance and corporate sites.